This is actually a short revision test on alphabet and vocabulary that has to do with clothes, food, toys, body parts, colours and animals. I guess it can be used as a worksheet, though, too. 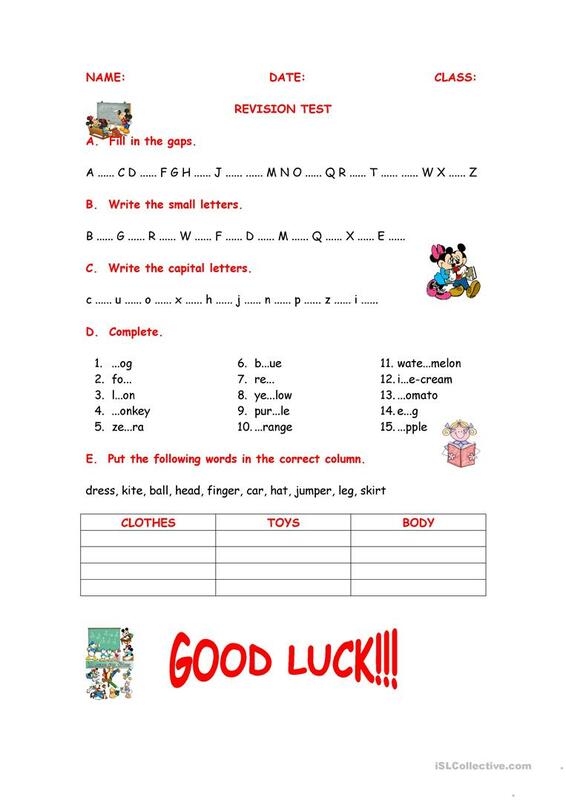 The present printable, downloadable handout was created for elementary school students at Beginner (pre-A1) level. vassoula35 is from/lives in Greece and has been a member of iSLCollective since 2012-10-30 18:31:02. vassoula35 last logged in on 2019-04-09 09:25:19, and has shared 9 resources on iSLCollective so far.